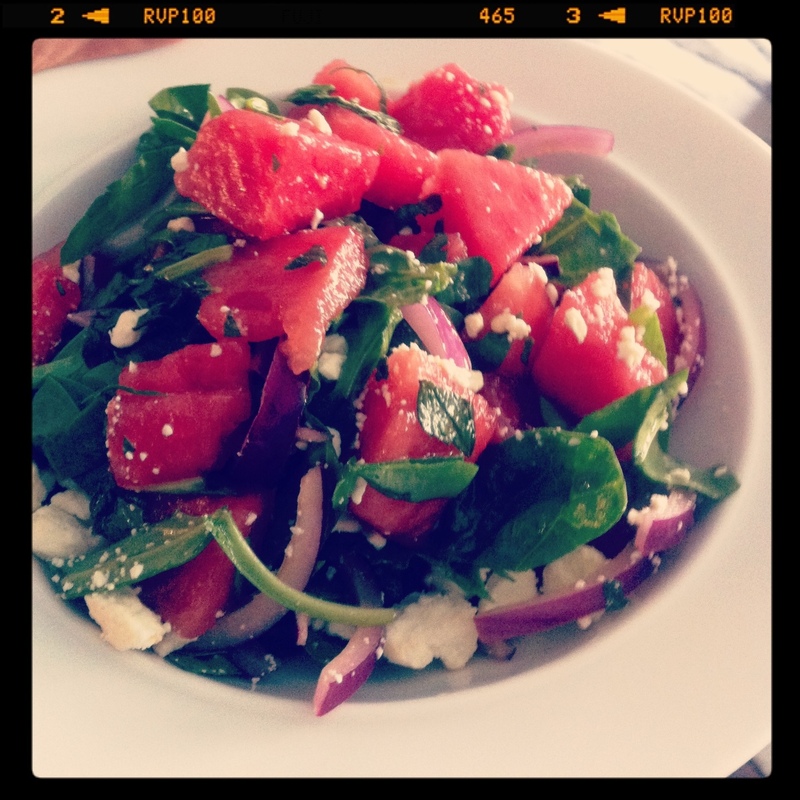 Watermelon + Feta + Mint Salad. This Salad is SO easy, fast and refreshing. I recently bought a watermelon last week and little did I know it was enough watermelon to feed a family of five. No joke! After eating the watermelon as is I had to become a little creative. Trust me when I say this is the perfect salad to bring to a summer BBQ. Mix all the ingredients and add salt/pepper as needed.